Discount valid thru: August 31, 2014. 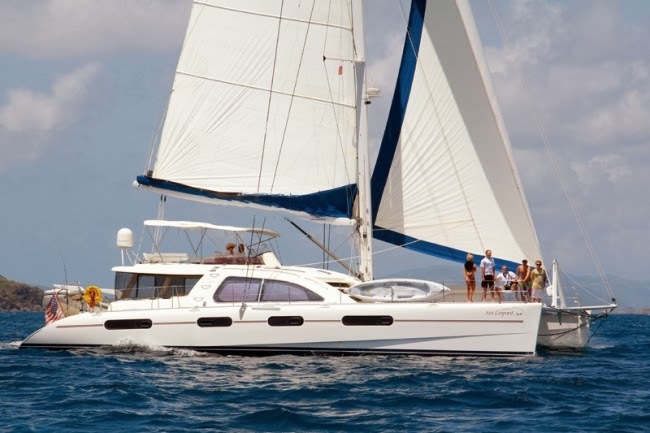 This lovely 62' catamaran offers comfort and space. With 4 guest cabins each with queen berths, TV/VCR/DVD/Stereo, private ensuite electric heads and stall showers. Large main salon with bar, lounge and formal dining area. Aft cockpit for alfresco dining and lounge area. Top deck flybridge with large padded lounge area under shade and enormous trampoline space forward with padded seat backs for comfort. (4) guest staterooms, each with full A/C, flatscreen TV, VCR/DVD & stereo, private ensuite bath with electric toilets and stall showers.